Weighing yourself ~ The Reluctant P.O.W. When and how often should you weigh yourself and under what conditions? In order to track, manage and gauge our success in weight loss we must weigh ourselves. First we to decide on a few things to maximize and be consistent in our results. How often will we weigh? What will you be wearing when you weigh? What time and day will you weigh? Will you keep a log or journal? Under what circumstances will you weigh? Since body weights can vary during the week, once a week keeps things fair and easy to do. Some people like to be naked when they weigh. Regardless, wear or not wear the same type of clothing each time you weigh. Morning is usually the best time to weigh. Always weigh in on the same day of the week. This makes a routine that is easier to follow and makes charting better also. Our bodies are great store houses. 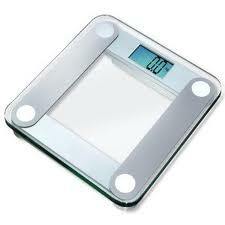 Try to weigh yourself after having a kidney and bowel movement. The result will be your normal body weight and will prevent you from making excuses about the weight shown. Any good scale will be fine. The newer digitals makes read the weight easy. Always make sure the scale is on firm flooring, no carpet. Try to stand in the same spot on the scale with both feet on the scale. If it's electronic, allow time for the scale to set or zero out before stepping on. Weigh your self three times. This prevents a false weight reading. Keep a log. I use a wall chart in my bathroom. I list the weight and how much I have gained or lost from the last reading. I also list the date and every two weeks my BMI. The chart gives motivation to say on track.